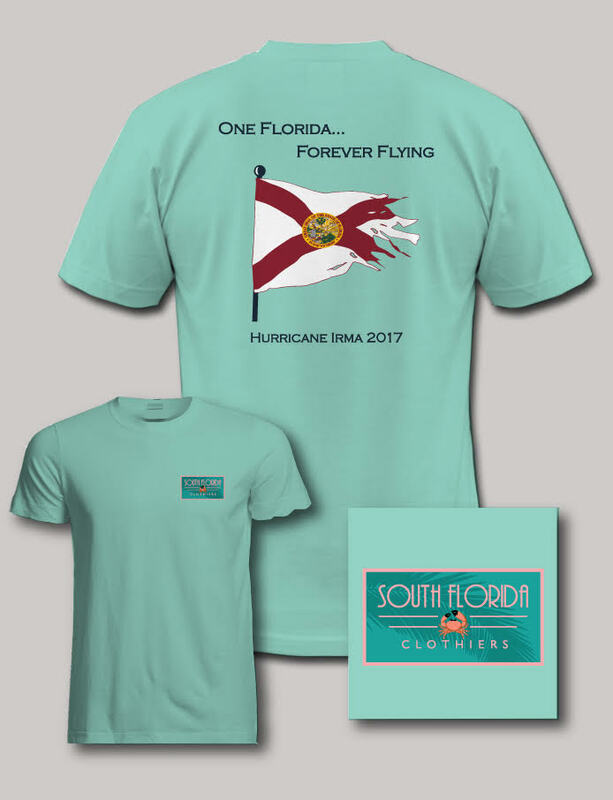 SFC Hurricane Irma Relief T-Shirt: 100% Pima Cotton. 100% Made in America. 100% of profits to local hurricane relief efforts. As most of us in Florida count our blessings and slowly return to our normal lives and routines following Hurricane Irma, we realize that several in our neighboring communities were not so fortunate and face a very long and arduous road ahead. We will therefore be donating 100% of all profits received from the sale of this shirt directly to local Hurricane Irma relief efforts. 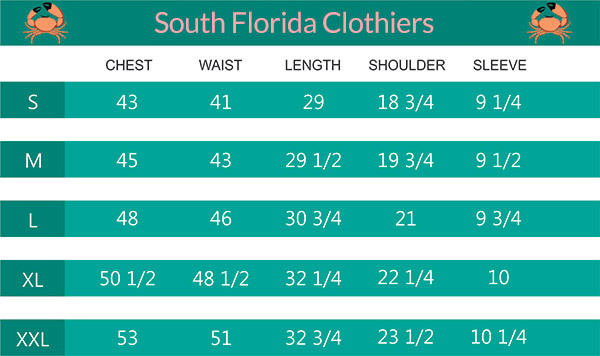 These shirts are Made in America of high-quality 100% Pima Cotton and come in three colors: Florida Keys Green, Marco Island White, and Naples Blue. Sizes Small through XL. Pick one up and support your Florida neighbors today!